Bespoke pieces forged especially for you. It's an important part of choosing a gift, or a special piece for your own home, that it says a little about you as well as the artist. Commissioning a piece of wrought ironwork is a perfect way to achieve that balance, a gift to last a lifetime. Make the first step by contacting Annabelle with your ideas today. Please note the items below are hand forged to order for you, therefore the estimated UK delivery time for items on this page can be 4 to 8 weeks - individual item forging time varies for each design, please check the listing of the item you wish to order. Overseas delivery is not available. 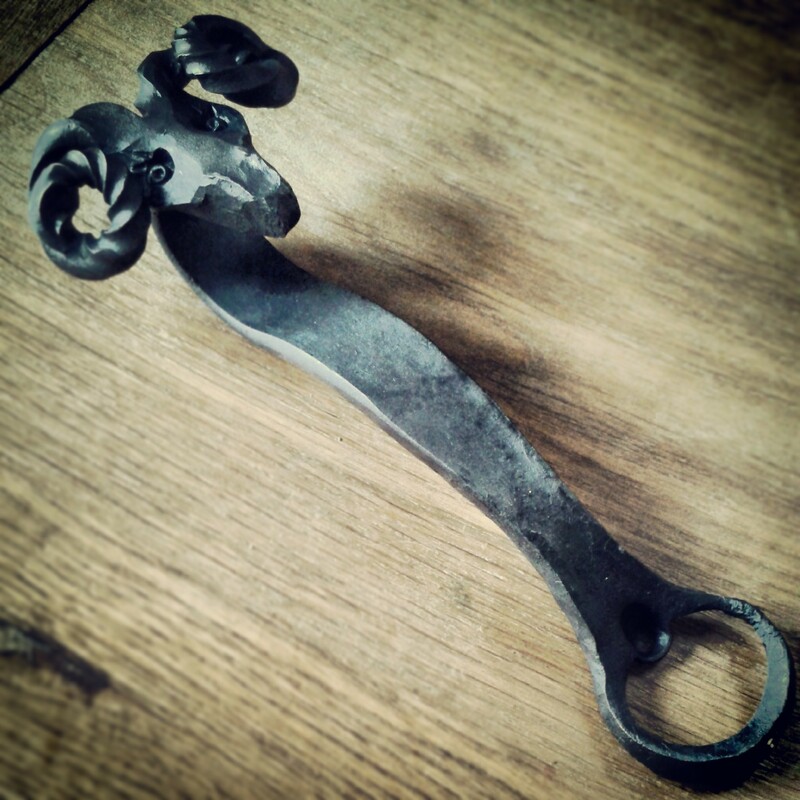 A bespoke hand forged gift makes a perfect present for birthdays, Christmas, weddings, anniversaries, even just to let someone know you are thinking of them. 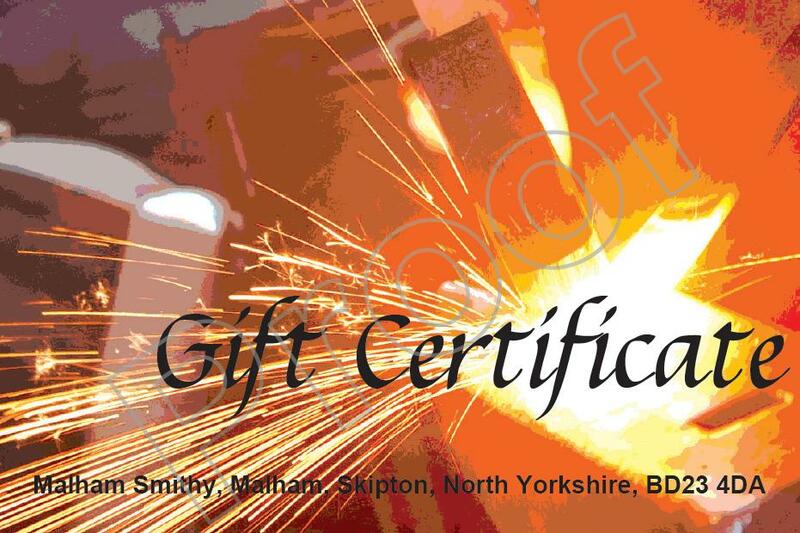 Sometimes it can be hard to decide what to buy, so why not choose a Malham Smithy Gift Voucher, allowing the recipient to commission their own unique gift, hand forged for especially for them. Gift vouchers are valid for 12 months from the date of purchase and can be redeemed to the face value against items in the Malham Smithy or commissions. In addition, gift vouchers may also be redeemed against part of the cost of a blacksmithing beginners course. Gift certificates for the complete course costs are available to purchase from the courses page. Gift vouchers are non-refundable and cannot be exchanged for cash. If a higher value than is listed is required, select a combination of amounts to meet your desired total, and email info@malhamsmithyonline.co.uk after purchasing to request the total to be made as one voucher. By clicking on the PayPal button you are agreeing to the Terms & Conditions of sale detailed on this website. 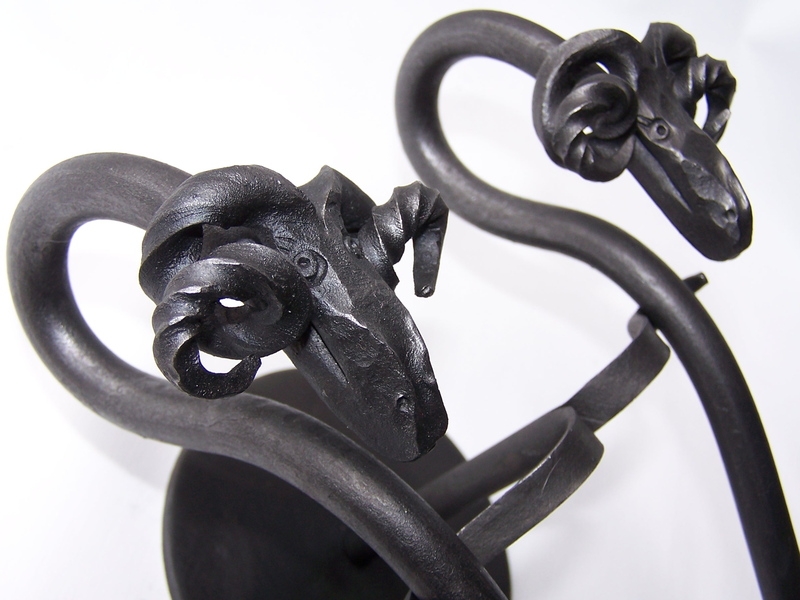 Ram's Head fire pokers are all unique, hand forged to order. The standard poker length comes approximately 45cm to 50cm, however you can request a different length if preferred. 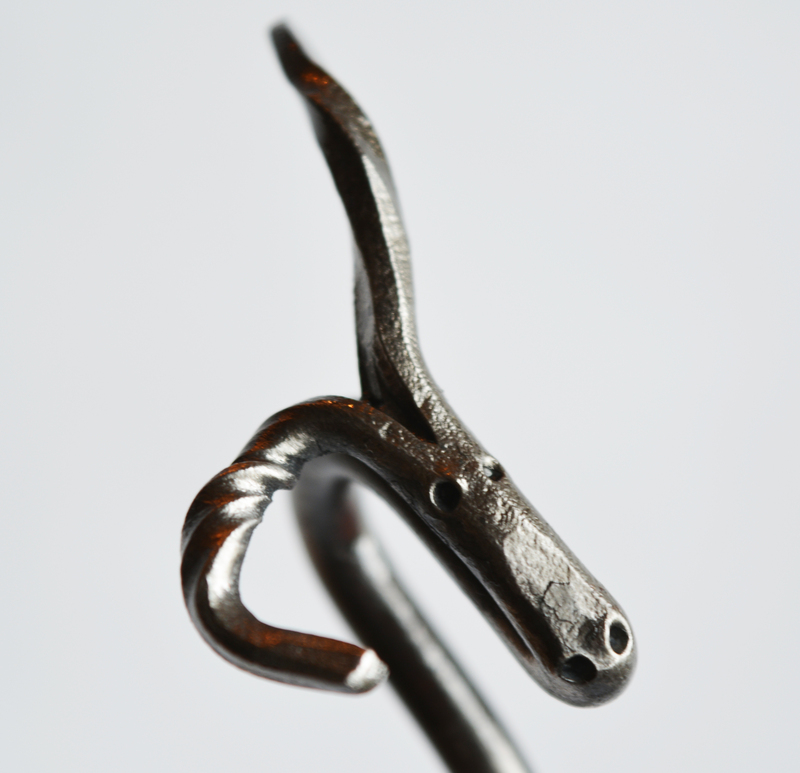 The pokers are forged from one piece, finished with a traditional iron paste. DELIVERY - Price includes postage and packing to the UK. Please note, every item is hand forged to order, therefore your item will be posted approximately 4 weeks from the date of order. Click the PayPal button to buy it now. 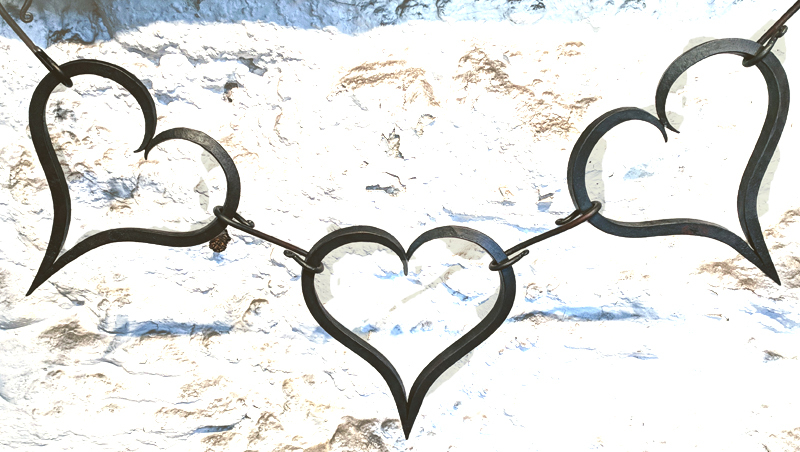 This hand forged heart from the Malham Smithy is a delightfully simple token of love, whether you are sending it to someone special or keeping it as a memento of your own love of Malham. Each piece is hand forged making every one unique. Your heart may vary slightly from the image shown. All sizes vary but will be approximately 12cm to 15cm. Picture shows four hearts as examples, you are ordering one personalised heart. Price includes postage. Your heart may vary slightly from the image shown, image shows examples of several hearts available to purchase individually. 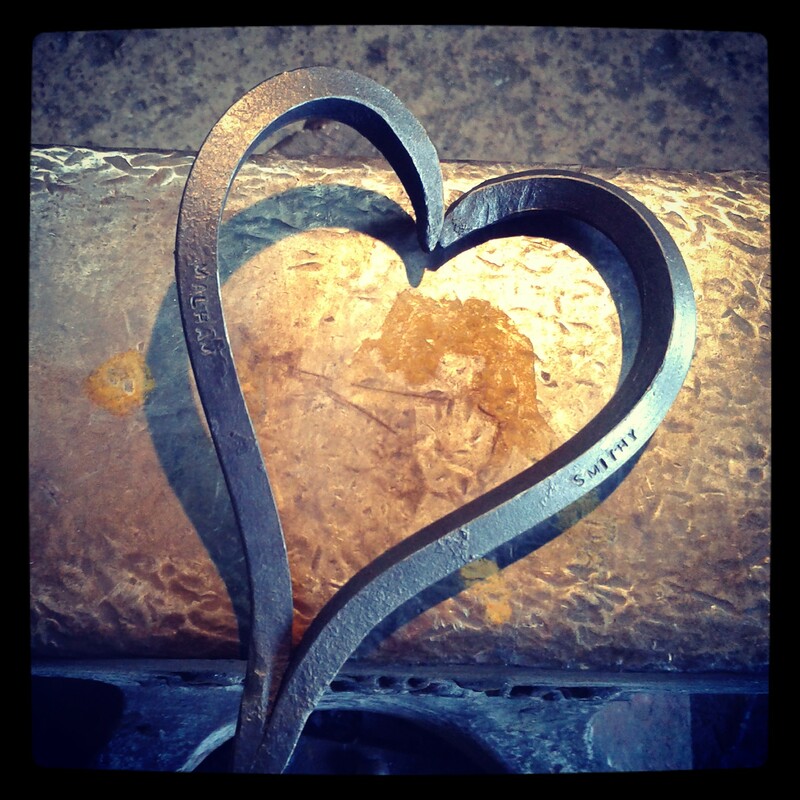 Add an extra special personal touch to the Malham Smithy hand forged heart. Your heart can be stamped with your personalised inscription. Hearts can be stamped with 12 characters, including numbers, dashes and spaces, on the left and 12 characters on the right, popular choices are two names on the left and a date on the right. 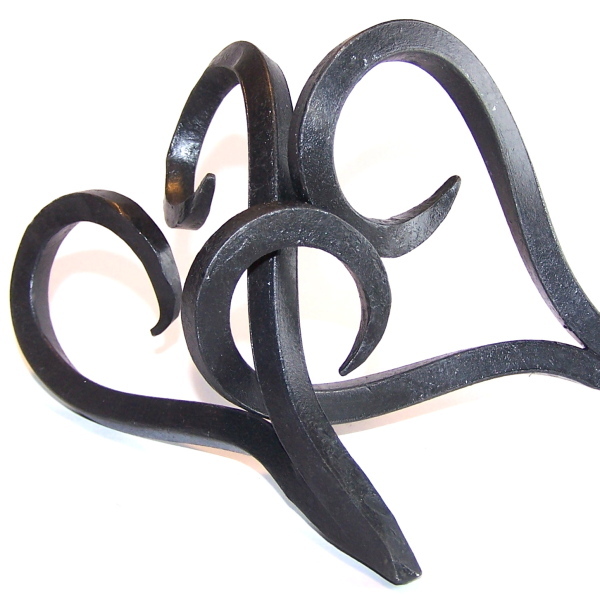 A special entwined version of our hand forged heart. Two hearts are forged to interlock but can be separated to have a heart each then joined together. 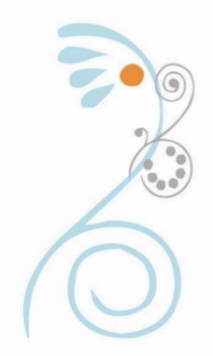 A beautiful symbol of your love when you spend time apart and as one. Each pair of hearts are hand forged making every one unique. Your hearts may vary slightly from the image shown. All sizes vary but will be approximately 12cm to 15cm. 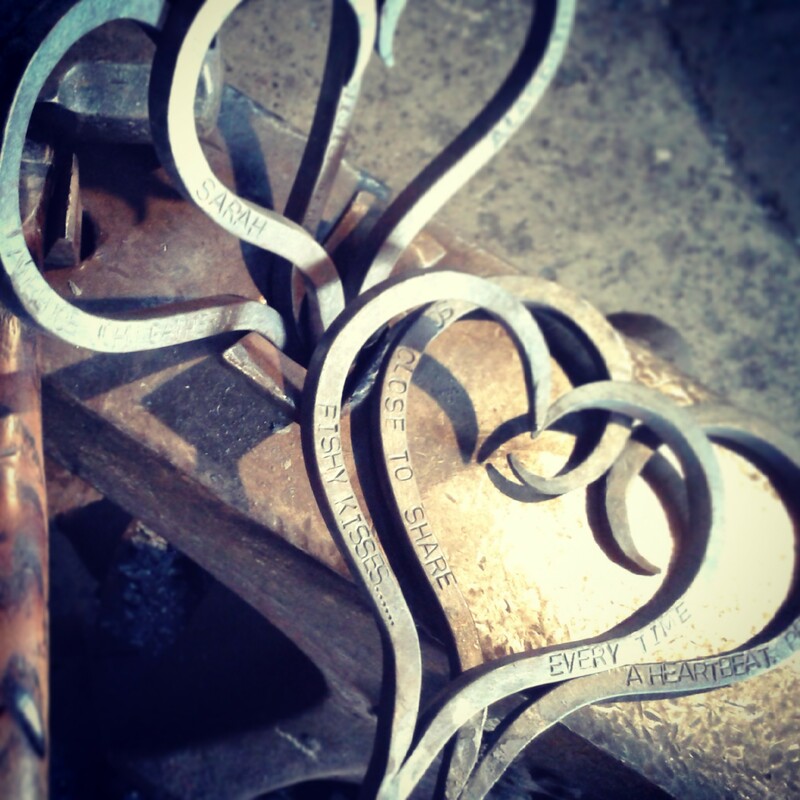 The entwined hearts can also be forged with an inscription - to order entwined hearts with inscription, go up to the 'Personalised Hearts' section above. 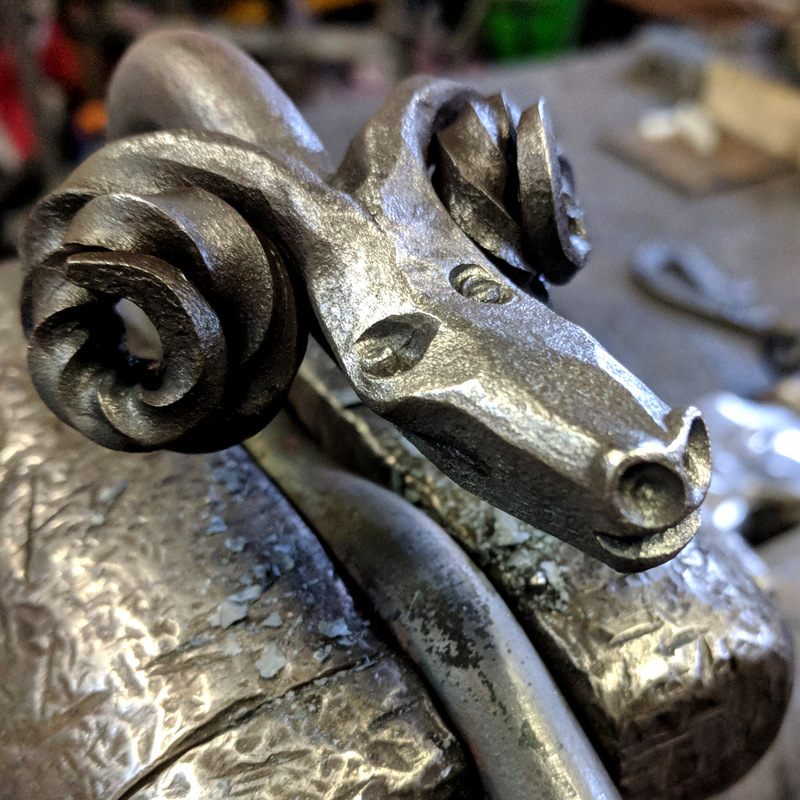 This hand forged rams head beer bottle opener from the Malham Smithy makes a fantastic unique gift. Your bottle opener may vary slightly from the image shown as they are all handmade to order. All sizes vary but will be approximately 12 to 15cm long. 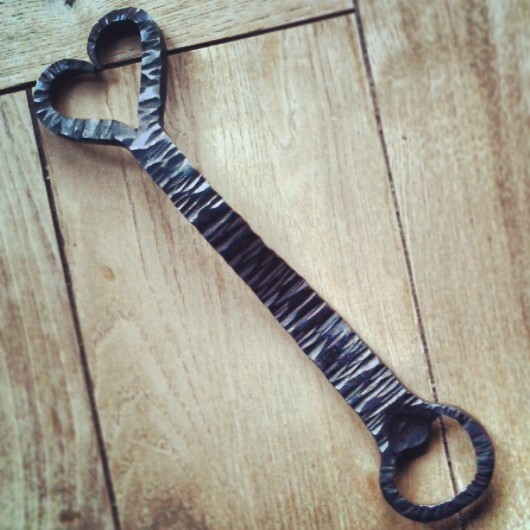 This hand forged heart bottle opener from the Malham Smithy makes a fantastic unique gift for the one you love. All sizes vary but will be approximately 15 to 20cm long. Price includes postage and packaging. Your order will be forged within 8 weeks then posted by Royal Mail. 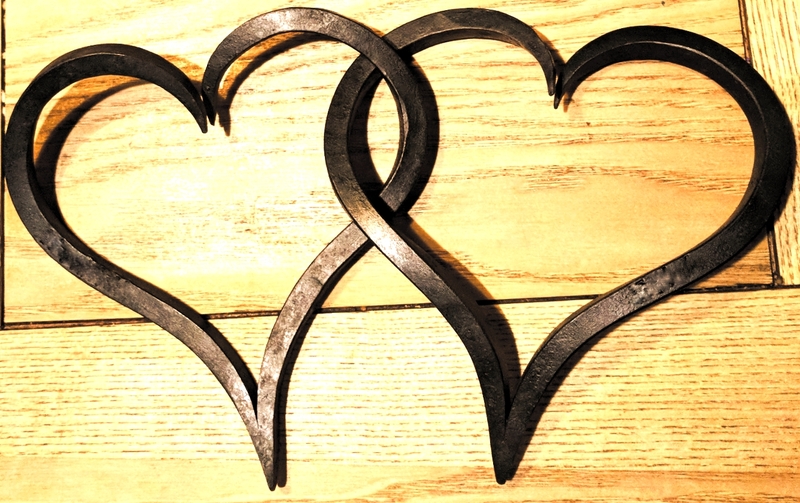 Beautifully hand forged heart bunting decoration. A novel twist on traditional bunting. The standard length for a string of 3 hearts is approximately 45 to 50cm. A 1m length of bunting would comprise of 7 hearts and 8 links. Please email if you would like different lengths than shown here. 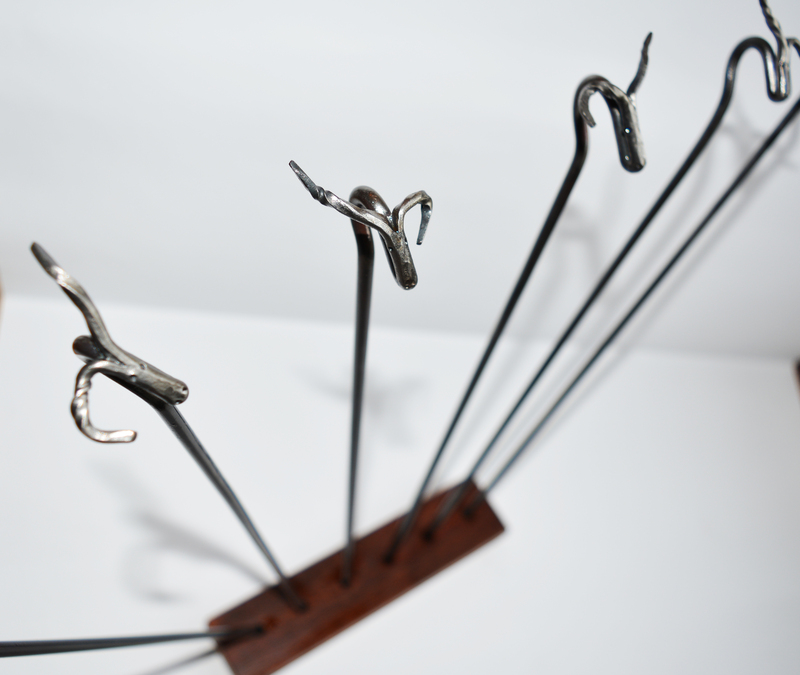 Your heart may vary slightly from the image shown as each piece is hand forged. The bunting is intended for indoor use and finished in a beeswax coating. Price includes postage and packaging. Estimated delivery 8 weeks. BBQ season has arrived! Fun rams head kebab skewers add a bit of novel entertainment to al fresco dining. 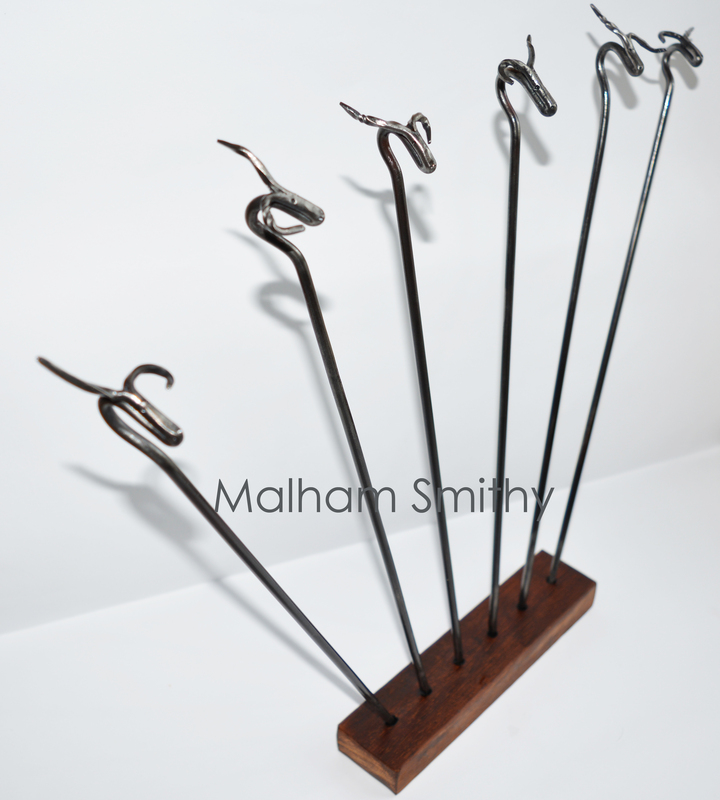 Set of six hand forged kebab skewers in a wooden block for display. The skewers are approximately 35cm to 38cm in length. 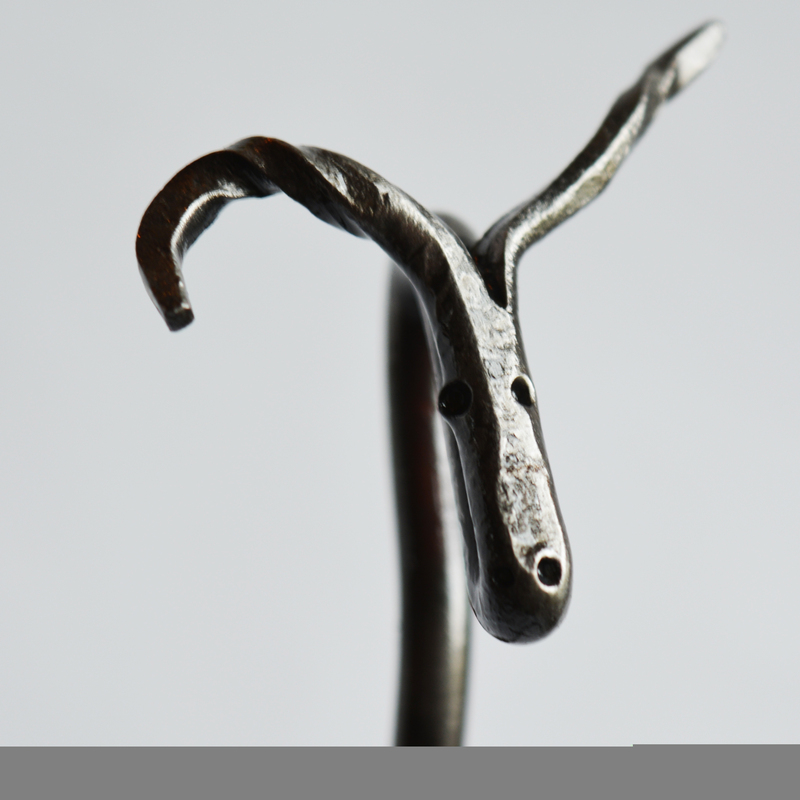 Each rams head skewer is hand forged individually therefore each skewer is unique. 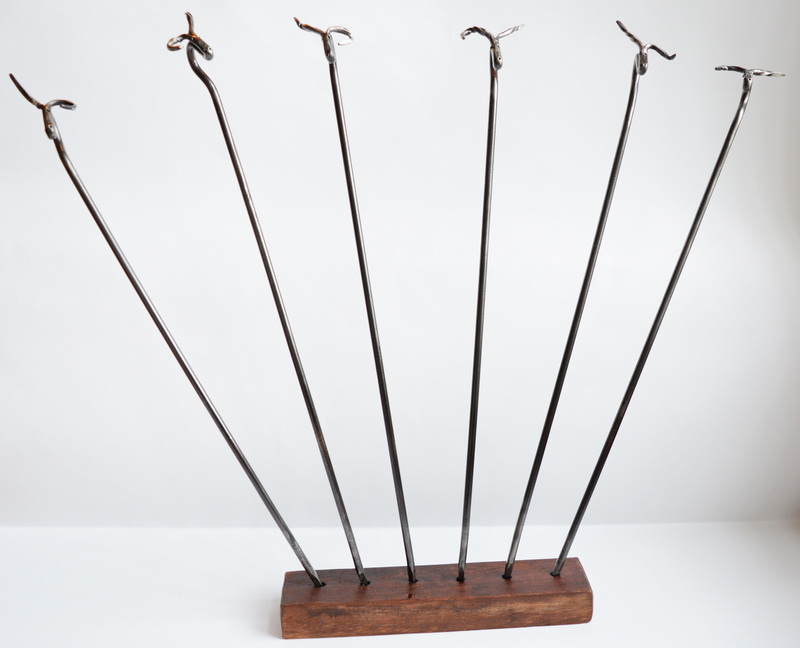 The skewers are forged from mild steel and require hand washing and coating in vegetable oil before and after use to prevent tarnishing. 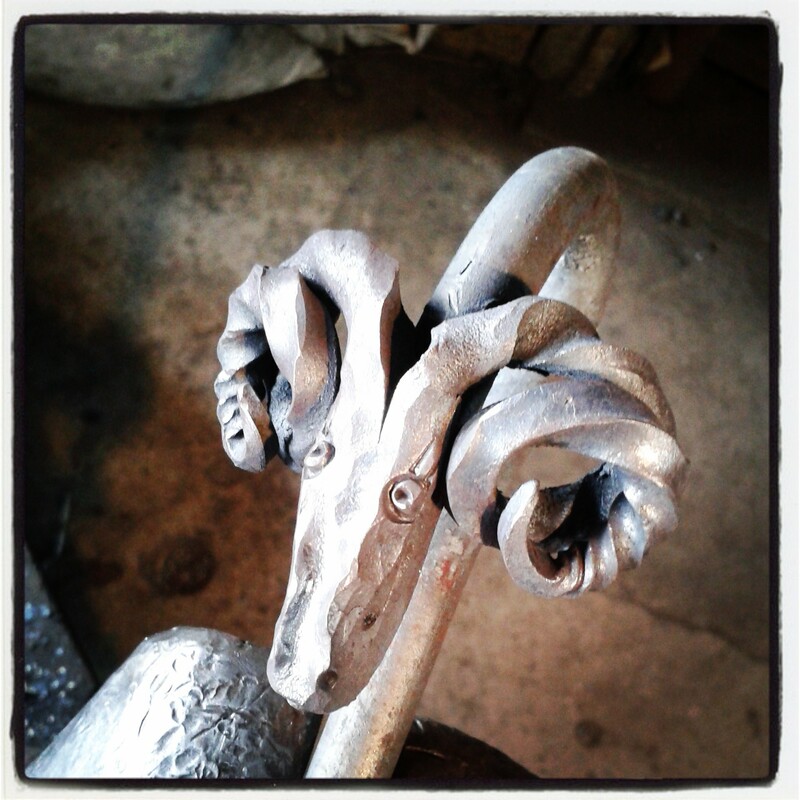 Take a look at the recent creations from the Malham Smithy. More pieces are available to view in the gallery page. Opening Times: There are no set opening times, Malham Smithy invites visitors by appointment, please email to plan your visit. If the doors are open and the Blacksmith is working on the forge, visitors are welcome to watch from the gallery area without prior appointment. Artist Blacksmith at the Traditional Blacksmiths Forge in Malhamdale, within the Yorkshire Dales National Park.